The Colored Baptist Church of Cedar Bayou was established and organized by a group of baptized believers in the year 1870. At that time they did not have a worshipping place and so the members traveled from house to house to have service. After the membership grew and still no place to worship, moving in faith, the members decided to buy a plot of land from Reuben Epperson to later build a church. Securing materials to build a church proved to be quite a problem for there was no type of transportation, nor a railroad station to transport the materials, nor was there a lumberyard nearby to buy the needed materials. The closest lumber yard was in Anahuac, Texas, and the only way to get the materials was by sailboat. Matt George, who owned a sailboat, along with Deacon William Taylor sailed to Anahuac to purchase enough lumber to build an 18x20 church. Still moving in faith, in 1935 the 18x20 church was torn down and another church was built by Mr. Dunlap. That little white church had two steeples, and a bell was placed in one of the steeples that were rung every New Year’s Eve at midnight; ringing out the old year and ringing in the New Year. 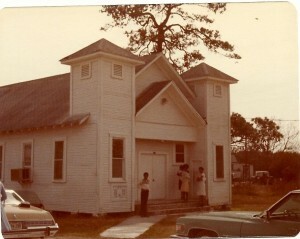 The church was later named by Ms. Rosie Winfree. At this time, the church was named and referred to as Mt. Olive Baptist Church of Cedar Bayou. Some of the founders of Mount Olive Baptist Church were Robert and Rena Lizzie, William and Susan Taylor, Henrietta Stafford, Phillip Jackson, Jeremy Cowins, James Smith, Ed Smith, Andrew Jackson, Tom and Jenny Johnson and William Raymond. These people laid the groundwork in helping make Mt. Olive what it is today. The first pastor was Rev. Todd. Other pastors were Rev. I.S. Bell, Rev. Richardson, Rev. Mitchell, Rev. A. Marshall, Rev. Clay Marshall, Rev. Cosey, Rev. S. M. Franklin, Rev. Sampson, Rev. O. J. Beasley, Rev. W. H. Hardy, Rev. A.P. Dancy was acting pastor for a while and the Rev. A.N. Franklin was pastor for 40 years until his death in November 2009. Rev. F.C. Porter served as pastor for approximately two years. In the history of Mount Olive Missionary Baptist Church seven ministers were called under Rev. A.N. Franklin: Rev. Lester Speights, Rev. Johnny Henderson, Rev. Champ Raymond, Rev. Guy King, Rev. Dewayne Sconion, Rev. Willie Chenier, and Rev. Wilson Alfred. 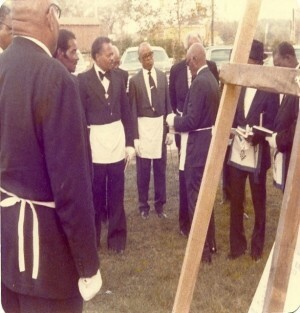 On November 6, 1977, the cornerstone was laid at the Church now named and known as Mt. Olive Missionary Baptist Church. After laying the cornerstone, the Church was widened and bricked. That Church stood until September 13, 2008 when Hurricane Ike came through and almost demolished it. But just like before, different time, different people, same situation, no worshipping place. Mount Olive Missionary Baptist Church kept in mind, Matthew 16:18; “upon this rock I will build my church and the gates of hell shall not prevail against it”. Members discouraged and saddened did not give up but they trusted God as before and decided to continue to have service. So, along with Pastor Franklin, associate ministers and deacons, church service continued under the front porch of the Church. After a few months when the weather no longer permitted the members to have church outside, God smiled on Mount Olive Missionary Baptist Church again. God directed a member of the Church to a local pastor who allowed Mount Olive Missionary Baptist Church to have service in St. Paul Methodist Church, which was vacant at the time. So the worshipping continued. Mount Olive worshipped there for about seven months. The funds were short but God opened doors. With many fundraisers, help from local churches, friends and family the members went back to the Church that was partially finished in June of 2009. Members were back at home and the work continued and the bell was back in the steeple. In November 2009 God called our beloved Pastor, Rev. A.N. Franklin home. The membership was devastated once again. Through Hurricane Ike and the death of Rev. Franklin, membership declined. For the first time for most of the remaining members, we were a flock with no pastor. With the leadership of the Deacons and Associate Ministers, the Church continued to press on. The Associate Ministers, Rev. Guy King, Rev. Willie J. Chenier and Rev. Wilson Alfred rotated in carrying out the services. New members were elected as Trustees. The Finance Committee was restructured. A new Church Secretary was selected. Renovation of the church was completed. In June 2010, Rev. F. C. Porter was called to Pastor Mt. Olive. He served until February 2013. For another year, Mt. Olive continued without a Pastor. The Associate Minister, Rev. Willie J. Chenier, Rev. Wilson Alfred, and Rev. Robert Daniels rotated in carrying out the services once again. In February 2014, God led another man of God to Mt. Olive, our present pastor, Rev. Johnathan Taylor. Mt. Olive is the first Church Rev. Taylor will Pastor. However, since being called He has put in a great deal of work. Existing Auxiliaries were revived and restructured and new ministries were established. In one year we have the revival of the Mission and Brotherhood, establishment of Youth and Young Adult ministry, training of Junior Deacons, and a new ministry was started, Daughters of the King. The membership increased and the spirit of the people was renewed and refreshed. Spirit filled leaders emerged. Thank God for our old pioneers who had a mind to work and to build a place of worship not just for their benefit but for all those who would follow after them and who are reaping the benefits of their faithfulness, commitment, love, dedication, and labor. We believe no weapons formed against us shall prosper. We praise God! Through hard trials, tribulations, persecution, we are determined. Press down, but not forsaken, Mount Olive Missionary Baptist Church is determined to be the church that God built. The Church building was built on dirt and sand, but the real church is built on a solid foundation, a solid rock which is Christ Jesus. To God be the Glory for the things he has done. We thank God that Mount Olive Missionary Baptist Church is still standing and our history continues.